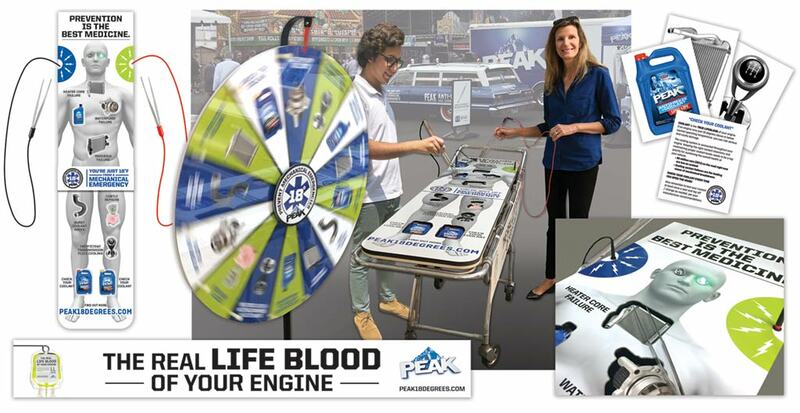 PEAK® Coolant Medical Campaign Activations | TFI Envision, Inc. Develop campaign activations for sales and NHRA race events. The campaign activations included retail sales kit, 30 second promotional video, and customized “Operation” style interactive display for attendees at NHRA races. The First Aid styled retail sales kit included a brochure, medical themed branded items and poster styled as a human anatomy chart–with substituted car parts as organs to warn the effects of neglected coolant. The video theme was a consultation with Dr. Coolant (John Force) and his patient–a car. The life sized, electrified “Operation” style interactive display sat on a gurney. The patients body held automotive game parts. Attendees spin, remove and win while being educated about coolant. 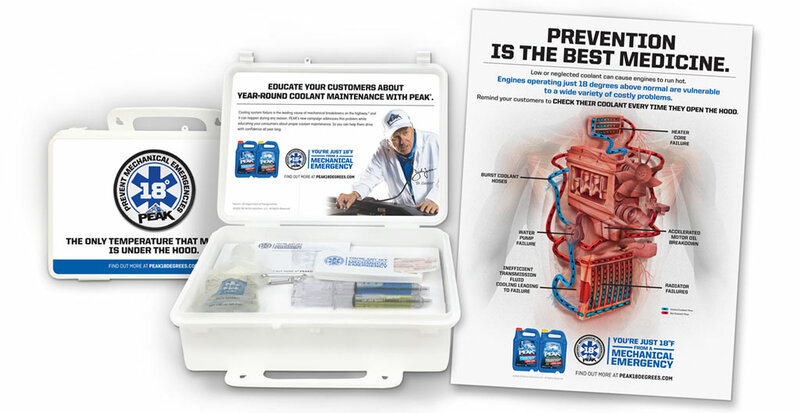 Drove increased sales of PEAK® Coolant through this awareness campaign. Client Feedback from the Director of Sports & Event Marketing – It did go over very well and drew more guests to the display so it is very effective.